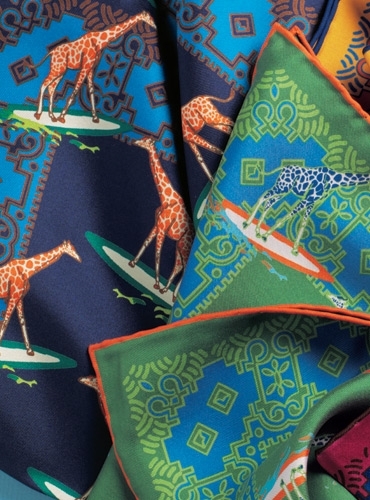 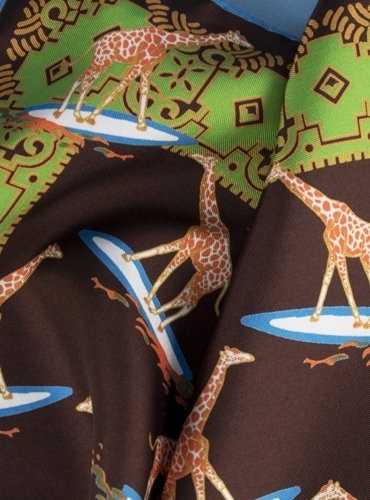 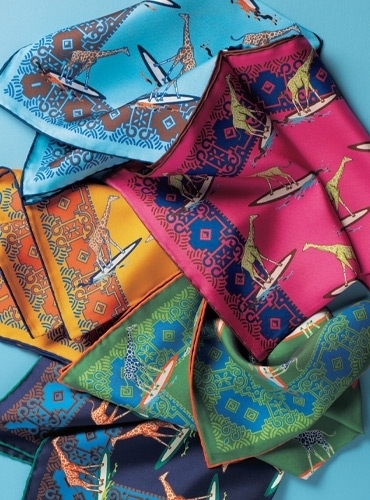 Whimsical surfing giraffe motif pocket squares in pure English silk, hand hemmed, in five colors: A-navy; B-clover; C-marigold; E-magenta; F-sky. 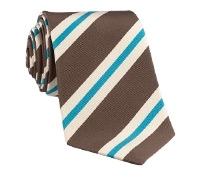 A limited quantity is also availble in D-chocolate, shown in the thumbnail image below. Dimensions: 16.5" x 16.5". 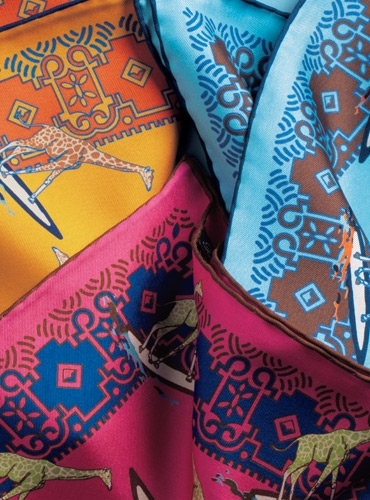 Made in England.